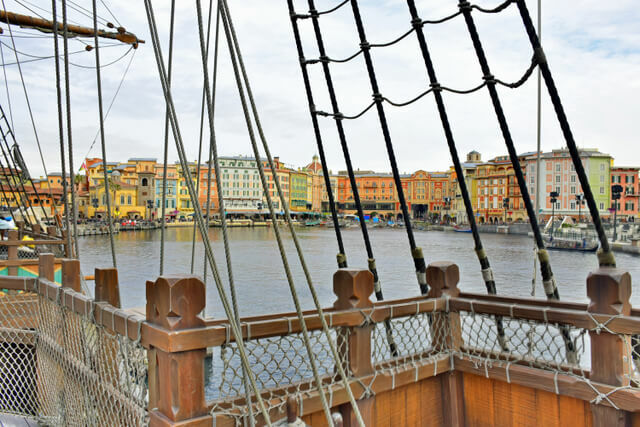 With a nautical theme, Tokyo DisneySea has next level attention to detail across their seven themed “ports of call”, and they achieve an authenticity that no other theme park has achieved. 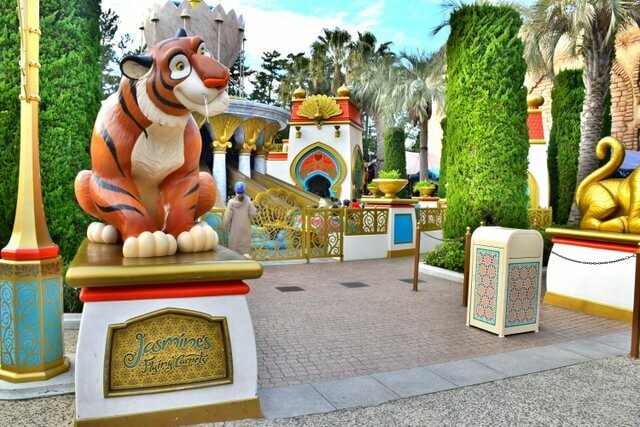 On entering the park you’ll find yourself in the Mediterranean Harbor, which then opens up to six new ports to explore: the American Waterfront, Lost River Delta, Mysterious Island, Mermaid Lagoon, Arabian Coast, and Port Discovery. 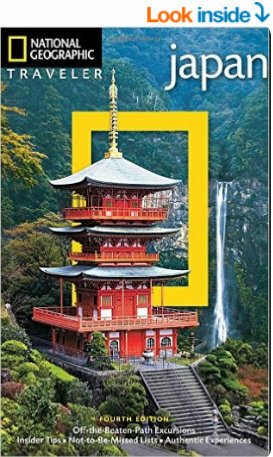 And from the moment you step foot inside the park, you’re no longer in Japan; you’re completely transported to the various ports of call, and genuinely feel as though you’ve been magic-ed from where you are geographically, to where they want you to imagine being. 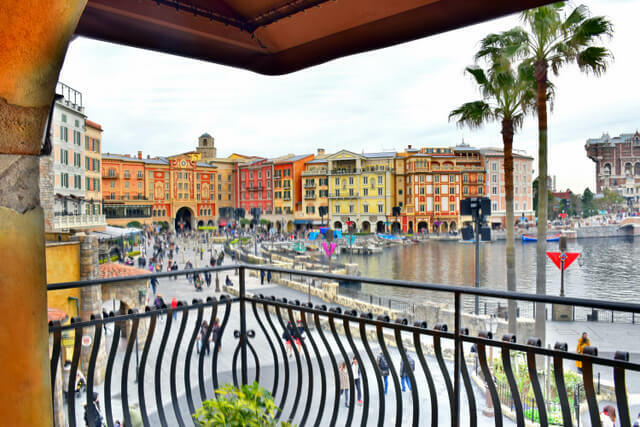 The Mediterranean Harbor is a modern day representation of Venice, complete with canals, bridges, and stunning Italian facades. And there are absolutely zero cracks in the illusion. 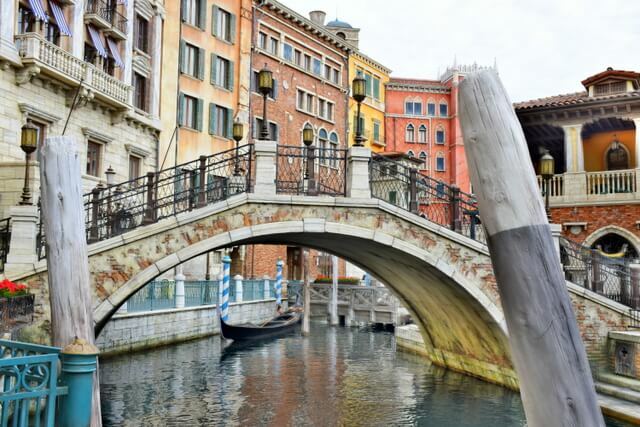 Dreamed of taking a Gondola ride in Venice? Smiling gondoliers will row you through the canals, and sing in Italian as you float underneath each bridge, in an experience so authentic I could have sworn I was back in Venice itself. To the right of the Mediterranean Harbor is a path that leads to Mysterious Island, and to the left, one that leads to the American Waterfront. Once again, no expense has been spared on the creation and design of these ports. With a section that recreates colonial Cape Cod, and another that recreates 1900’s New York Harbor, it’s quite the experience traveling from Italy to 20th century America in one day! This is the largest port in the park, and the level of detail does indeed blow US theme parks away. You’ll stroll past a Broadway-themed theatre, can catch 1940’s swing jazz being performed in the streets, and everything from the lampposts to the Big City Vehicles that roam the streets will convince you that you’ve achieved time travel … what a feat! There’s a classic American ocean liner in the port, the SS Columbia, with a lounge themed to Teddy Roosevelt on board. And the fact that the park offers grown up drinks is something we’ll discuss further down! Other ports of call throughout the park are just as compelling as the rest, with the same level of insane attention to detail and complete immersion. 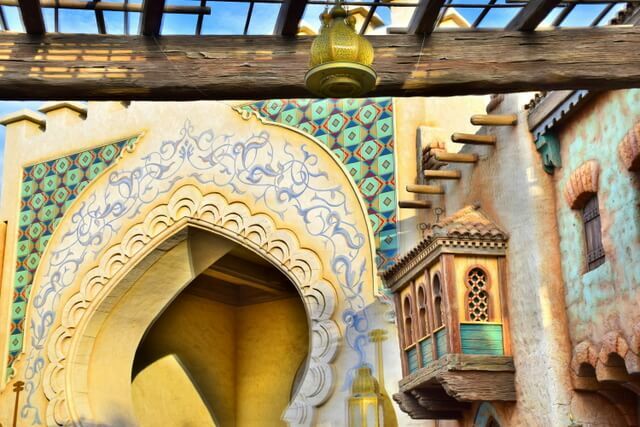 The Arabian Coast is inspired by the Disney Movie Aladdin, and recreates an Arabian harbor and enchanting world with architectural marvels that convince you you’ve traveled to the Middle East. Walking through Lost River Delta you’ll encounter the ruins of ancient Aztecs, and feel as though you’re about to bump into Indiana Jones. As a 15 year old who dreamed of growing up into a mermaid (Ariel became a human, so surely I could do it the other way around! ), Mermaid Lagoon was a personal favorite, with the creation of King Triton’s castle, and Ariel’s Grotto (including treasures). 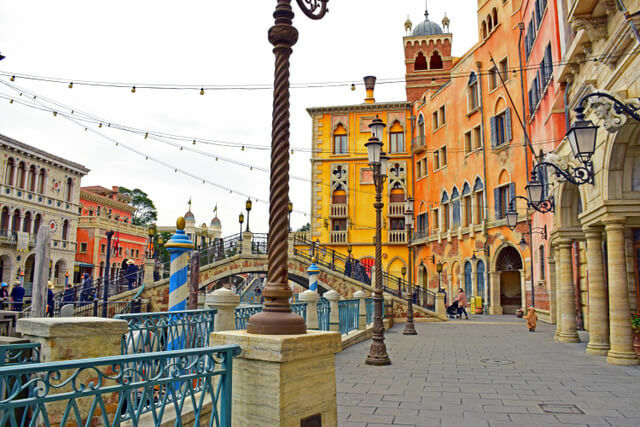 While most people visit theme parks for the rides, the ports of call at Tokyo DisneySea are attractions in themselves. Simply walking through the park is an experience that goes well beyond the world’s (other) best theme parks. 4. The Rides … Obviously! 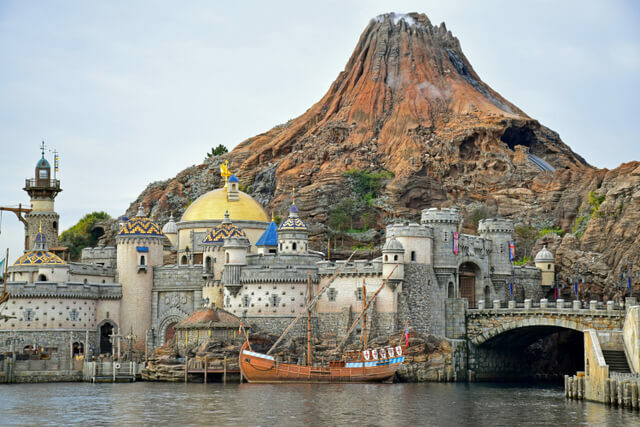 The rides are the second reason you shouldn’t leave Tokyo without a trip to Tokyo DisneySea. With a varied mix of leisurely to the downright extreme, the park offers a huge range of fun for all ages. Each ride is suitably themed, and is just as immersive and detail orientated as the ports of call. For instance, when you journey to the center of the earth, you genuinely feel as though you’re deep underground in an erupting volcano! The following are by no means an exhaustive list of all attractions in the park; there are so many to choose from that I’ve narrowed it down to my favorites, and the rides I feel set the park apart. However you can find a full list of rides and attractions on the park website. The previously mentioned Venetian Gondolas are fantastic, and the romance of the canals emulates the same experience you would have in Italy. And Mermaid Lagoon offers a realistic playground where kids can ride bobbing jellyfish, or jump in a twirling kelp cup under the sea. 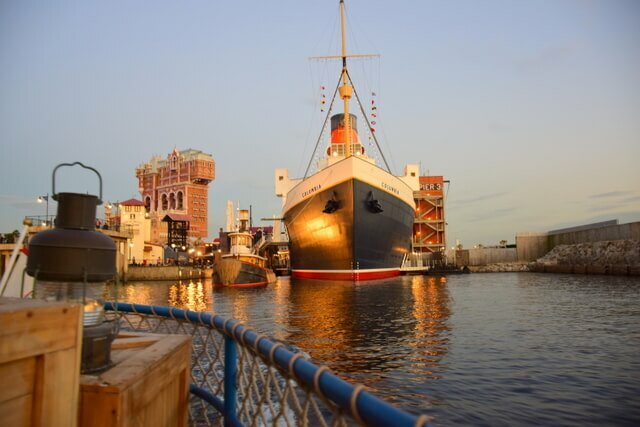 Also on the list of more leisurely rides is the DisneySea Transit Steamer Line which allows you to cruise around the park and see each port of call from the water. This is a fantastic way to get acquainted with the layout of the park, which you may wish to do at the start of the day. But it offers incredible evening views of each port, especially as the lights come on across the Mediterranean Harbor. Toy Story Mania! may appear at first glance to be a leisurely ride, but it may surprise you as the most fun for both children and adults alike! As soon as you walk through Woody’s wide open mouth, everything inside becomes ginormous, which makes you feel as though you’ve shrunk to the size of a toy. You’ll jump into a spinning vehicle and don 3 D glasses, to be shot underneath Andy’s bed for a range of classic carnival. You’ll compete against the person next to you in shooting virtual targets, and the game is very fast paced!! 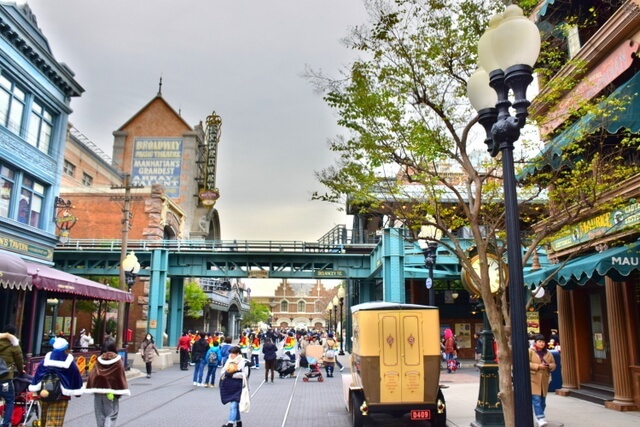 The range of thrilling rides at Tokyo DisneySea is fantastic, and if you’re after a heart stopping adventure you should stop by the American Waterfront for Tower of Terror. In New York, 1912, stands the hotel known as the “Tower of Terror,” so called after the mysterious disappearance of its owner in 1899. Now, the New York City Preservation Society has finished restoring the infamous hotel, and started giving tours to the public. But what happens when you take the elevator to the top floor…? Spoiler alert … you free fall! 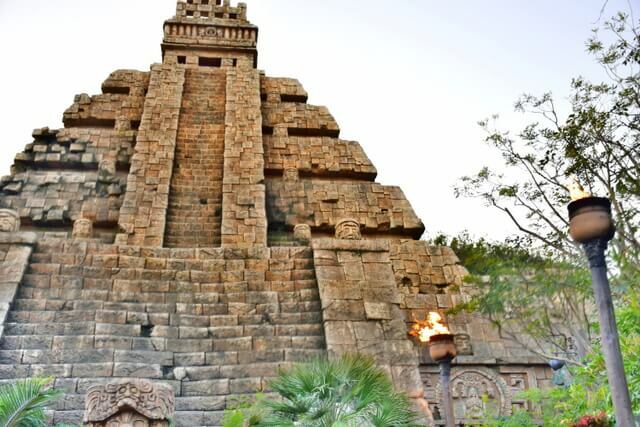 Other truly incredible rides include the Indiana Jones Adventure: Temple of the Crystal Skull (pictured below) where you’ll board a rollercoaster and be catapulted through an ancient Aztec temple to escape the vengeful guardian, the Crystal Skull. And Journey to the Center of the Earth may see long lines, but is absolutely worth the wait; you’ll explore an underground volcano on a subterranean vehicle, and be sent hurtling through the caverns as the volcano suddenly shakes and erupts. The food options in Tokyo DisneySea are fantastic, and get 5 stars for their level of theming. Whichever port of call you’re in you’ll find a suitably themed restaurant, serving authentic cuisine from that region. 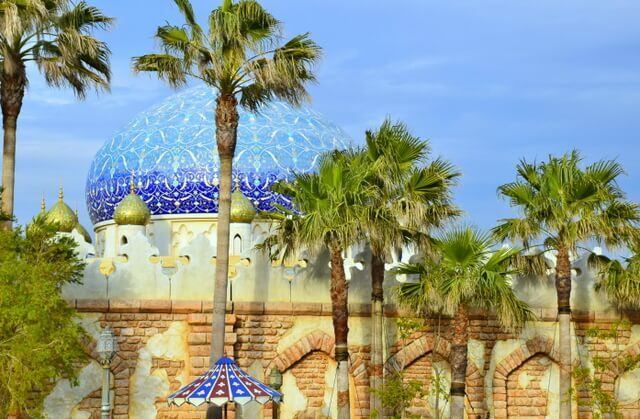 There are 39 restaurants in the park, so whether you feel like feasting on curry in an Arabian open-air bazaar, or dining at an archeological excavation site for tasty Mexican delights (The Yucatan Base Camp Grill), there are food options to cater to every taste, and every theme. Personally, lunch at the Zambini Brothers’ Ristorante, with a view overlooking Venice was a delight. Channeling an Italian winery converted into a restaurant by the three Zambini brothers, their pasta, pizza, and tiramisu as just as good as I had in Italy. 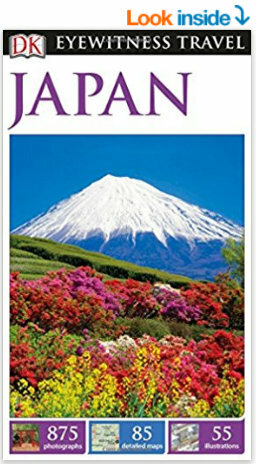 Of course, not forgetting you’re in Japan (which is easy! 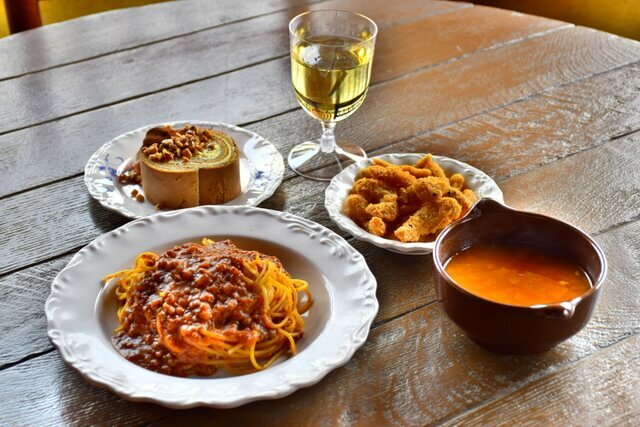 ), there is also Restaurant Sakura. Set in the American Waterfront, where Japanese immigrants in New York gather, this restaurant is in a former fish market and looks out onto New York Harbor. The Japanese dishes served here go well with sake. There are hidden extras throughout the park that you’ll stumble upon throughout the day which will 100% bring a smile to your face. One of them are the public soap dispensers that dispense soap in the shape of Mickey Mouse! Another, is birthday sticker for first time visitors; tell any member of staff at the park throughout the day that it’s your birthday, or your first time visiting, and you’ll be given a sticker with your name to place on your clothes. Park staff you encounter will congratulate you or wish you a happy birthday for the remainder of the day! 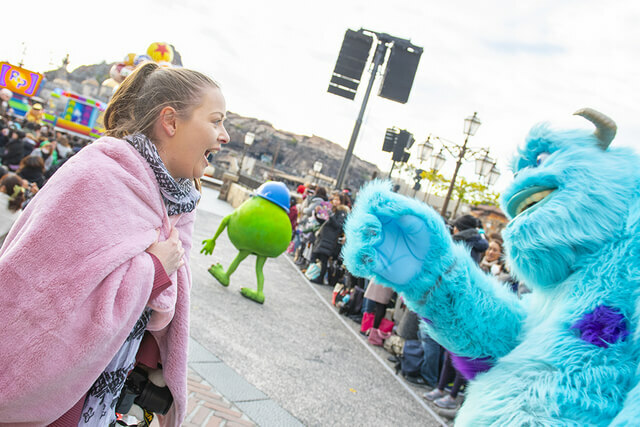 The staff / cast on the ground at Tokyo DisneySea are a hidden extra in themselves. The friendliness and willingness to assist is absolutely amazing, and there’s always someone around no matter where you are in the park. 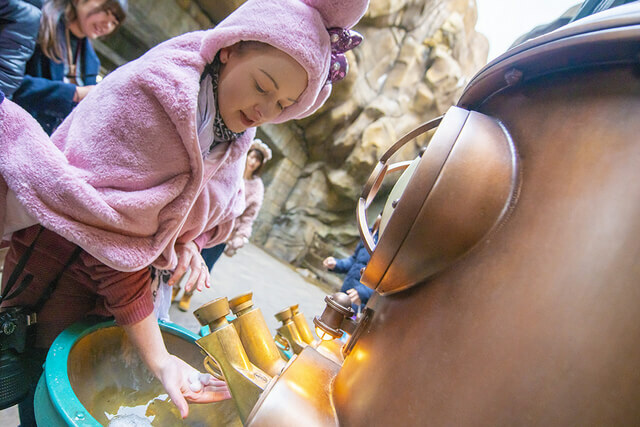 It is Japan after-all, so politeness, efficiency and cleanliness come with the cultural territory, but this is definitely something that sets Tokyo DisneySea apart from Disney parks in other parts of the world. 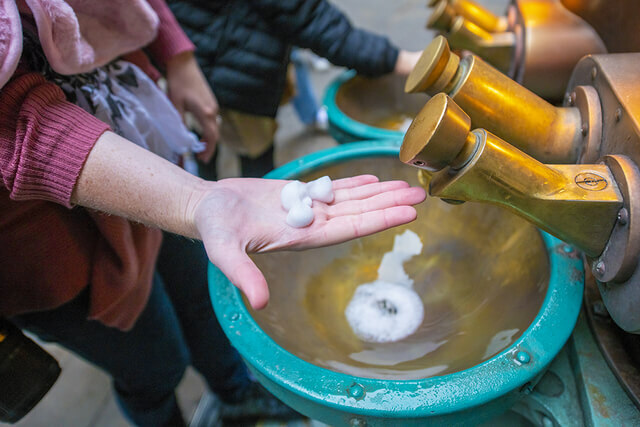 Tokyo DisneySea Makes Soap Interesting! 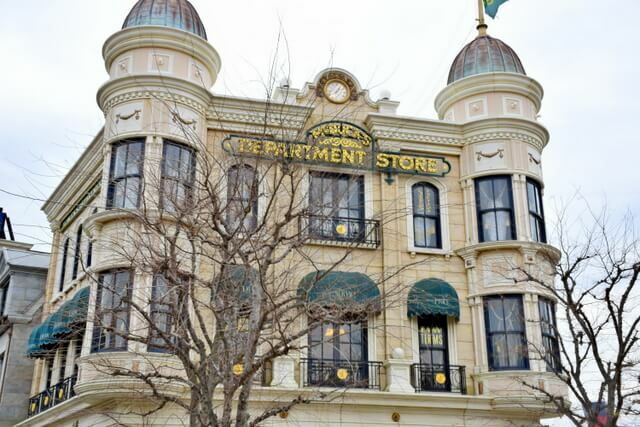 While suitable for all ages, Tokyo DisneySea has been specifically designed for the enjoyment of an older crowd. Kids will have a great time too, but this is a fantastic adults playground. It takes particular skill to convince a group of adults that they’ve been transported into a different world, but the park truly captures even the most mature imaginations. The presentation of ports of call is immaculate, and nothing feels fake or cheesy. Another thing that makes Tokyo DisneySea adult friendly is their alcohol policy. Unlike neighboring Tokyo Disneyland, which is completely alcohol free, Tokyo DisneySea serves adult friendly beverages. So, you can pick up a wine in Italy, a Budweiser in New York, or a kiwi mojitos in the Yucatan. While it may be tempting to try them all, remember that everything is best in moderation! You also don’t want to try too many cocktails before jumping on a rollercoaster! I know, you’re already convinced right? But there’s one part of the Tokyo DisneySea experience I haven’t yet covered, and that is the shows! There are parades / shows that take place throughout the various ports of calls, including the fireworks spectacular at the end of the evening. And this is a fantastic opportunity to interact with members of the Disney cast. The roster of entertainment will typically change with the season, though if you’re traveling before March 25 2019, don’t miss the Pixar Playtime Pals show. 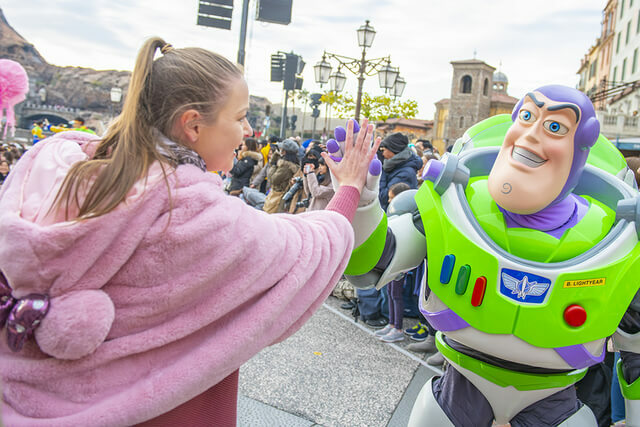 Disney and Pixar Characters gather at Piazza Topolino to play fun games with the crowd, and it’s exceptional. The challenge is to complete three games inspired by the Toy Story film series, The Incredibles, and Finding Nemo. After the games are successfully completed, the show ends in an exciting finale where so many Pixar characters start running through the crowd that you don’t know where to look! Think all of the characters from the Incredibles, Toy Story, Monsters Inc, Up!, Ratatouille, Brave, Finding Nemo, and Inside Out. They’ll hug you, dance with you, return your fist bump, and the atmosphere / vibe from the crowd is one of excited electricity. 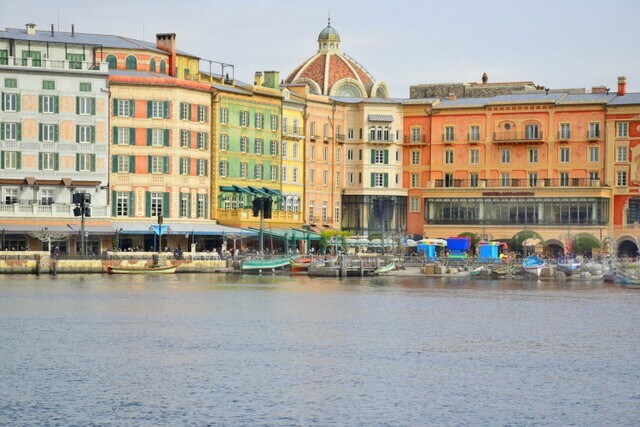 Not until the end of the day did I realize that the Venetian facade of the Mediterranean Harbor was an actual hotel you could stay at within the park! 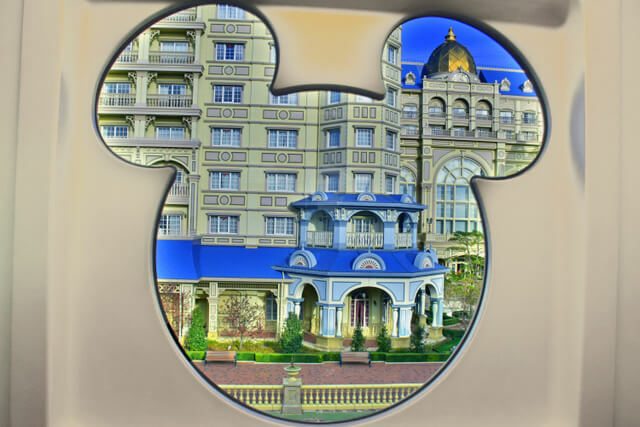 For all of the reasons listed above, Tokyo DisneySea is really a multiple day park, and Tokyo DisneySea Hotel MiraCosta allows you to spend the night still immersed in the fun and fantasy of all that you experienced, with rooms that look directly into the park. Each of the three sides of the hotel, Tuscany Side, Venice Side and Porto Paradiso Side, offer a different ambience and charm. Staying here means the bonus of early entry to the Parks, and being able to purchase an exclusive multi day ticket. 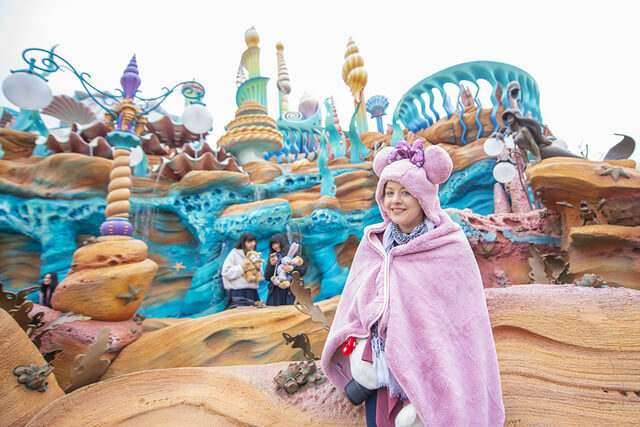 Tokyo DisneySea starts from ¥7,400 per adult ($67 USD) and ¥4,800 ($43 USD) per child for a one day passport. Click here to buy tickets / check prices. In terms of getting to Tokyo DisneySea, from Maihama Station you can take the Disney Resort Line which is a short 10 minute ride at ¥260 ($2.30 USD). Alternatively, you can walk to the park from Maihama Station in about 20 minutes. You can download a map of the park in advance of your visit if you wish to plan out your day before arriving. Overall, one day was not enough, but the full day I did spend in the park will remain etched into my memory as a day never to forget. 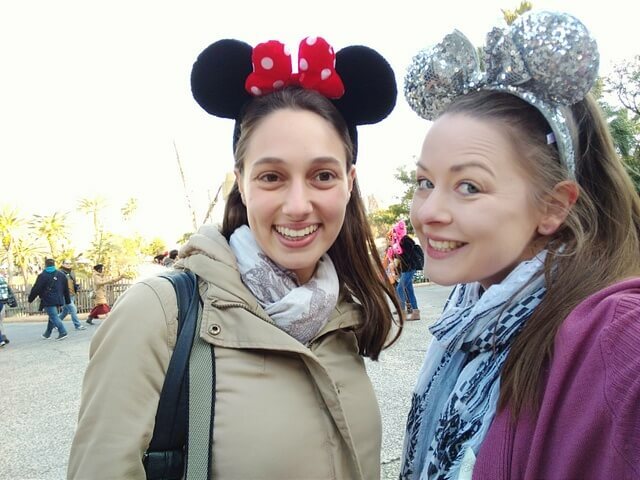 I strongly recommend that you don’t leave Tokyo without a trip to Tokyo DisneySea. I traveled to Tokyo during winter in January 2019. 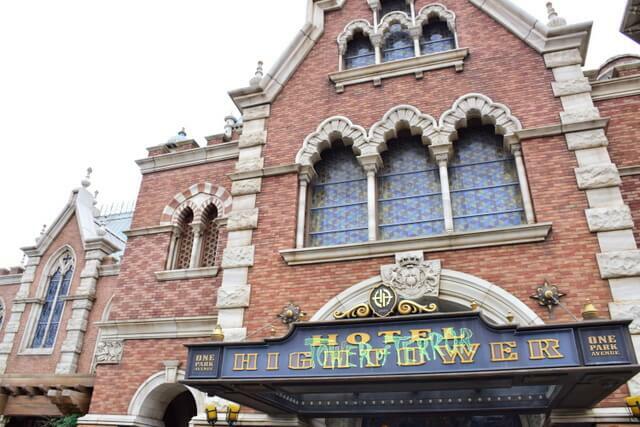 My trip was at the invitation of Tokyo Disney Resort, however all gushing opinions remain my own. I would go back on my own dollar in a heartbeat. Wow, Tokyo DisneySea looks amazing! I had no idea what this park entailed. Thanks for documenting it so well! 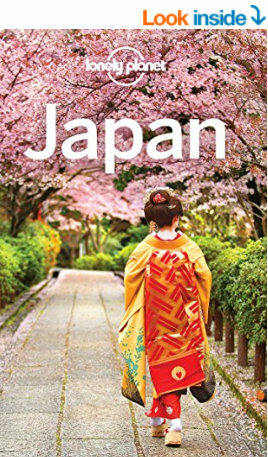 I haven’t visited Japan yet and really want to. Now I want to visit Tokyo DisneySea when I do! Japan is such an incredible country, one of my favorites. 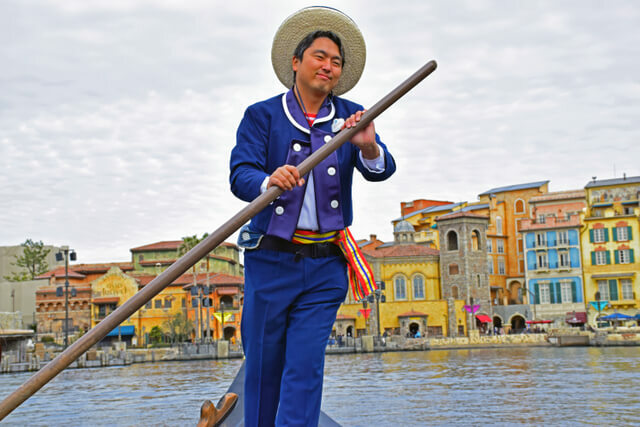 Tokyo DisneySea is a definite highlight … what a cool job to have worked in the Disney parks growing up! What a sensational post and experience Meg. In awe at the insane amount of detail that goes into building such a place, plus, the work hours. Genuinely a dream come true, right before your very eyes. Thanks Ryan! So glad you enjoyed the post! Absolutely re being in awe of the attention to detail, you genuinely feel transported to another world; mind blowing to think of the amount of time that went into creating it. The creative teams here are exceptionally skilled. Tokyo DisneySea has been on my radar for some time. I definitely want to stay at the hotel because I don’t think one day is enough to see everything. It all looks so fun! Thanks for sharing this Meg, I totally agree that this is one the adults will enjoy just as much as the kids. The attention to detail and little touches really do give that immerse experience of spending the day in another world. 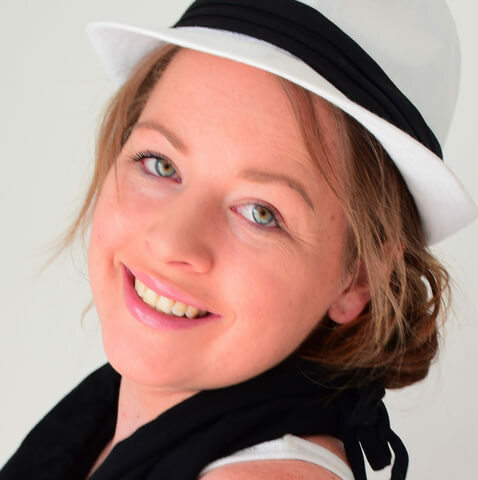 You’re welcome Toni – you definitely don’t need kids as an excuse to visit this one, I had an incredible time as a big kid :D Hope you have the chance to visit soon too!